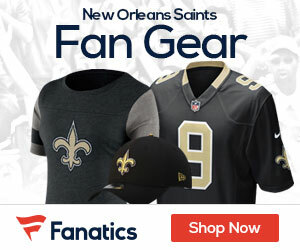 « Saints 2009 Schedule Released – Three Primetime Games! Linebacker Jonathan Vilma will welcome his former team, the New York Jets into his new home, the Superdome, in Week 4. Rex Ryan’s new-look Jets defense will be tested. The Saints lost both matchups with the Panthers last season, meaning they’ll have this division matchup at home in Week 9 circled ahead of time. Tom Brady will return to the Superdome in Week 12, site of his first Super Bowl victory. Waiting for him will be Drew Brees, the league’s reigning passing leader, in a matchup that will feature two of the league’s most exciting aerial attacks.